The soul (jiva) is identical with the body. The soul is not identical with the body. The fourteen questions imply two basic attitudes toward the world. The Buddha speaks of these two attitudes in his dialogue with Mahakassapa, when he says that there are two basic views, the view of existence and the view of nonexistence. He said that people are accustomed to think in these terms, and that as long as they remain entangled in these two views they will not attain liberation. The propositions that the world is eternal, that the world is infinite, that the Tathagatha exists after death, and that the self is independent of the body reflect the view of existence. The propositions that the world is not eternal, that the world is finite, that the Tathagata does not exist after death, and that the self is identical with the body reflect the view of nonexistence. These two views were professed by teachers of other schools during the time of the Buddha. The view of existence is generally the view of the Brahmins; that of nonexistence is generally the view of the materialists and hedonists. 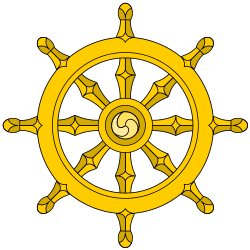 When the Buddha refuses to be drawn into the net of these dogmatic views of existence and nonexistence, he has two things in mind: the ethical consequences of these two views, and the fact that the views of absolute existence and nonexistence do not correspond to the way things really are. The eternalists view this self as permanent and unchanging. When the body dies, this self will not die because the self is by nature unchanging. If that is the case, it does not matter what this body does: actions of the body will not affect the destiny of the self. This view is incompatible with moral responsibility because if the self is eternal and unchanging, it will not be affected by wholesome and unwholesome actions. Similarly, if the self were identical with the body and the self dies along with the body, then it does not matter what the body does. If you believe that existence ends at death, there will be no necessary constraint upon action. But in a situation where things exist through interdependent origination, absolute existence and nonexistence are impossible. Another example drawn from the fourteen unanswerable questions also shows that the propositions do not correspond to the way things really are. Take the example of the world. According to Buddhist teaching, the world does not exist absolutely or does not exist absolutely in time. The world exists dependent on causes and conditions—ignorance, craving, and clinging. When ignorance, craving, and clinging are present, the world exists; when they are not present, the world ceases to exist. Hence the question of the absolute existence or nonexistence of the world is unanswerable. Existence and nonexistence, taken as absolute ideas, do not apply to things as they really are. This is why the Buddha refuses to agree to absolute statements about the nature of things. Such a statement may imply that a Buddha is immortal. Even though he descends in the samsara to preach Dharma and save sentient beings from suffering, his original body remains in a transcendent realm. That body will not die upon the death of the physical body of Buddha, and hence a Buddha is beyond arising and passing away. The idea that the physical death of a Buddha is the termination of that Buddha is graphically refuted by the movement and meaning of the Lotus sutra, in which another Buddha, who passed long before, appears and communicates with Shakyamuni himself. In the vision of the Lotus Sutra, Buddhas are ultimately immortal. A similar doctrine of the eternality of Buddhas is repeatedly expounded in the tathāgatagarbha sutras, which share certain family resemblances with the teachings of the Lotus Sutra. Cula Malunkhyaputta Sutta in Majjhima Nikaya (Volume II, sutta 63) is a short canonical scripture, which contains the "unanswered questions" as well as the Parable of the Poison Arrow that alludes to the attempt of solving these questions as a waste of time. ↑ "Cula-Malunkyovada Sutta,Translation by Thanissaro Bhikkhu". Retrieved 2014-06-26. ↑ "Aggi-Vacchagotta Sutta,Translation by Thanissaro Bhikkhu". Retrieved 2014-06-26. ↑ "Sabbasava Sutta, Translation by Thanissaro Bhikkhu". Retrieved 2013-06-26. ↑ "YMBA's translation of Brahma Net Sutra (Ch II. Sakyamuni Buddha)". Archived from the original on July 16, 2012. Retrieved 2008-12-12.